Rev. Claude and Rhoda Houge are seasoned missionaries, having served as literacy supervisors with Lutheran Bible Translators in Liberia, West Africa, from 1982-1992. They also served in Ghana and Kenya with LCMS World Mission for 13 years. The Houges will use their experience in education to homeschool the children of Rev. David and Valerie Federwitz. David serves as Regional Director for West Africa with Lutheran Bible Translators. He, Valerie, and their four children live in northern Ghana. Valerie has spent much of her time over the years homeschooling. Now she needs to take on a new role – periodically traveling with David as he meets with current and potential partner organization leaders in several countries and visiting the missionaries under his supervision. With the Houges teaching the children, David and Valerie will be able to focus on the important work of building and maintaining relationships with translation partners and offering advice and encouragement to fellow LBT missionaries. The Houges may also assist with member care – the emotional, mental and spiritual support of missionaries. Claude will also be available to perform other pastoral duties as requested by David. The Federwitz family will be returning to Ghana later this summer after furlough in the U.S. Claude and Rhoda hope to join them in time to begin the new school term in September. Claude and Rhoda are graduates of Concordia University in Seward, Nebraska, where Rhoda also earned a master’s degree in education. Claude served in the LCMS as a teacher, lay minister and pastor (Concordia Seminary, St. Louis) in Nebraska, Ohio and California. Rhoda has been a teacher, business manager, office manager, volunteer coordinator and homemaker. 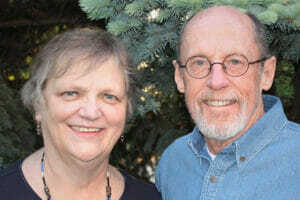 The Houges call Eagan, Minnesota, home and are members of St. Michael’s Lutheran church in Bloomington, Minnesota. They have two sons and three granddaughters.